Neil Moreton McKern was born on 17 December 1946 at Richmond, New South Wales. He joined the CSIRO Division of Protein Chemistry in 1964 as a Technical Assistant with Dr Fred Stewart to work on chemical peptide synthesis. He obtained his BSc, studying part time, from the University of Melbourne in 1971 and his PhD from the University of Melbourne in 1981. His Thesis title was: ‘Serum somatomedin and the regulation of growth-studies with rodent models’. The work was in collaboration with the Royal Children’s Hospital with Professor Don Cheek and CSIRO’s Gordon Crewther as co-supervisors. From 1971 to 1981, as an Experimental Scientist, he worked with Gordon Crewther on the isolation of the helical segments from keratin and later, on characterisation of properties of human serum somatomedin (IGF-1). In 1982, he was promoted to Senior Research Scientist rising to Senior Principal Research Scientist in 1999. Over the years he made significant contributions to several Divisional projects. the establishment, by peptide mapping and amino acid sequencing, of the nature and extent of variation in the coat proteins of numerous strains and species from the largest plant virus family, the Potyviridae which greatly aided the development of a successful taxonomy of potyviruses. From 1991 to 2006, he made major contributions to the project led by Colin Ward on the structure and function of the insulin receptor family. He developed and implemented purification protocols leading to the successful crystallisation of ectodomain fragments from the insulin receptor; the closely related IGF-1 receptor; the epidermal growth factor receptor complexed with one of its ligands TGFÎ±; ErbB2, the co-receptor of the EGFR family; and finally the insulin receptor ectodomain dimer in complex with Fab fragments from two different monoclonal antibodies. At the end of 2006, he was appointed Research Team Leader for Protein Production within the Aust Biotech Growth Partnership Theme and in January 2008 CMHT Project Manager for Protein Production within the CRC for Cancer Therapeutics. 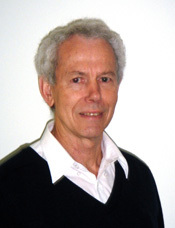 Neil retired from CSIRO in 2011. He died on 20 March 2014 after battling multiple myeloma. McKern NM, 2009, Personal communication.